As the global terror threat intensifies, C&IT talks to events agency health-and-safety specialists about the rise in demand for 'disaster response' from corporate clients. 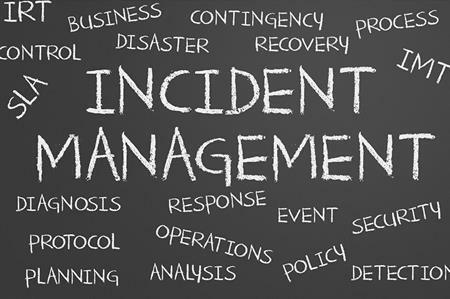 For Rachel Belliere-Wilson, operations director at BI Worldwide, there’s been a greater focus on ‘risk assessment’ than ever before, preventing incidents before they happen. "For example, places like Turkey, which was always been seen as safe, is becoming a more risky destination, because it borders dangerous destinations like Syria." She added that companies are keen to maintain ‘business perceptions’ and are becoming increasingly interested in the measures that agencies put in place. "We risk-assess everything – suppliers, distributors, destinations. The process doesn’t finish when we’ve chosen somewhere either – it continues throughout the course of the event and we keep clients updated if anything changes." She added that she receives detailed global updates, with information on where and how events have happened, their exact location and how many people were involved. While agencies tend to discourage clients from choosing risky destinations, Paul Weston, health and safety manager at drp, said the client makes the final decision, and in some cases contingency plans need to be put in place. "At the end of the day we have to work with what the client wants. If it was a destination with any risk at all, we would account for this and put extra precautions in place. However, in the last ten years, we’ve definitely noticed that corporate clients are becoming much more aware of world events and choosing their meetings and events destinations accordingly." For agencies, the importance of ‘trial runs’ can’t be underestimated. "We have test situations where we act out certain scenarios," said Weston. "For example, what would happen in a situation where there’s a communications failure due to fire, natural disasters or a terrorist act?" He added that the company keeps a black box of information, which contains all the relevant contact details for every person involved with an event. "This is obviously very personal sensitive information, so we have to be careful how we handle this, in terms of data protection." James Wilkins, managing director at Vista, said that many agencies have a ‘gap in knowledge’ when it comes to disaster recovery. "We’ve invested heavily in knowledge, role play and experience and found it to be an excellent way of preparing for what might happen in a real emergency situation." For Vista, disaster response isn’t just about having the right plans in place, but having the right people to execute them in a crisis. "Just because someone is a director doesn’t necessarily mean they’re the best person to help in a disaster situation," explained Wilkins. "During our role-play sessions we pick out the people who we think would be most effective in certain situations and we build our response teams around that." If corporate clients aren’t demanding thorough risk assessments and disaster response plans, it’s something agencies should be pushing, according to Belliere-Wilson. "Our crisis management plan is really robust, covering everything from documentation to regular updates, emergency helplines, media responses and emotional support – depending on the situation." She added that it’s vital companies prepare for every eventuality and agencies should be the people to put forward these detailed response proposals. Has terrorism affected corporate events?